You are here: Home » Blogging » Should You List your Loft in the Winter? Should You List your Loft in the Winter? The nights are getting longer, temperatures are dropping and the holidays are approaching. That means you should wait to list your Loft for sale until next year, right? That isn’t necessarily true. 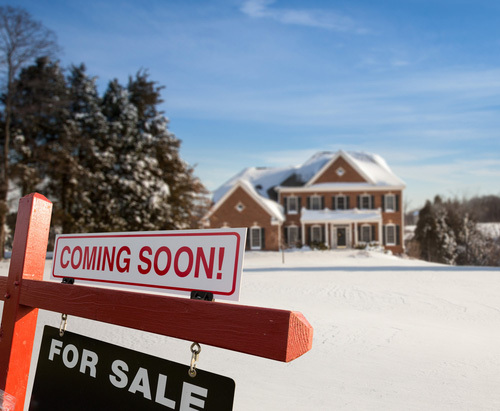 While spring and summer tend to be the hottest seasons in the real estate market, there are arguments to be made in favor of selling in winter. It’s not uncommon for people to relocate for work at the beginning of the year. That means those folks will be looking for a place to live. Since they’ll need to be in a new location by a specific date, they’re more motivated to buy a Loft. In winter, you’ll get fewer people who are “just looking” and more who are serious about a Loft purchase. Chances are the buyers who are looking at Lofts in winter will also have more free time to browse. Since many people take time off over the holidays, they’ll often use it to do their Loft searching. Some Loft sellers aren’t locked into a timeframe. They’ll be more likely to postpone their listing until the holidays are over and schedules are less hectic. With fewer Lofts on the market, there’s less competition for those motivated buyers you’ll see in winter. It’s easier in the colder months to make your Loft look cozy and inviting to potential buyers. Build a fire in the fireplace and light some candles around your Loft. There’s nothing quite like the soft glow of the fire to make a Loft feel and look warm and appealing. If you’re a seller who will also need to be buying a Loft in a new location, the timing can work in your favor. By listing and selling in the winter, you’re free to begin your Loft search in early spring without the stress of trying to sell at the same time. Don’t let “conventional wisdom” keep you from listing your Loft in the winter or during the holiday season. Now can be the perfect time to sell!